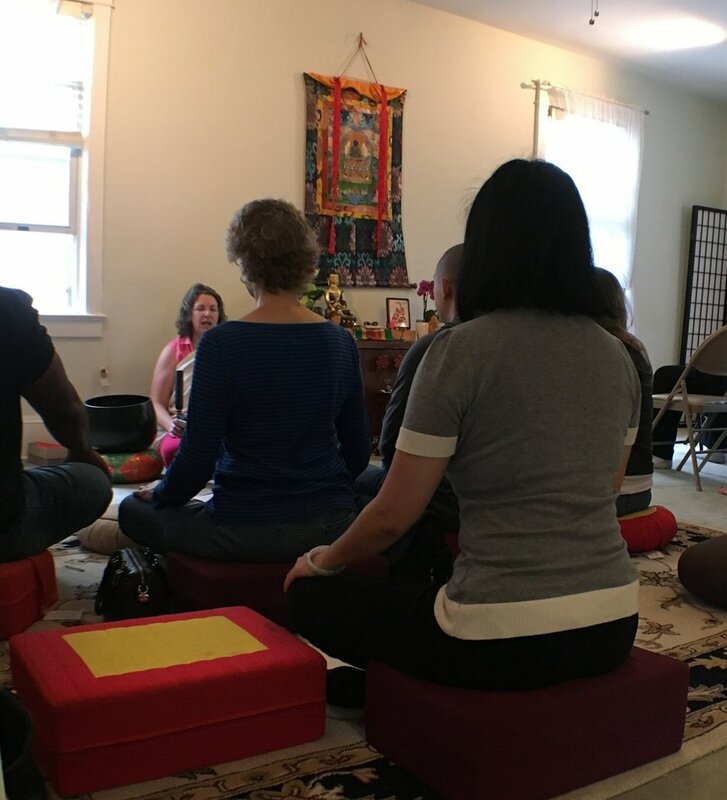 PBMG offers instruction in shamatha/vipashyana meditation, our basic technique, from 11:15 to noon on the second Sunday of each month. These brief Sunday morning sessions will offer a simple introduction for those new to meditation; a transition for those who have meditated in some other context (yoga, TM, mindfulness apps, and so on); and a refresher for more experienced meditators. Anyone may attend, and all are invited—though never required!—to stay for the afternoon session. There is no need to register in advance. If you have questions, feel free to contact us. All are welcome at most PBMG programs. There is no need to register, but please feel free to contact us with questions (or check out the FAQ). All sitting sessions are offered at no charge, though occasionally those taking a class will need to purchase a sourcebook or other materials. For our full schedule please see our schedule page.